Monica Wright ’01 Grad ~ Most successful women’s volleyball coach in Otterbein University’s history. Many coaches turn their high school sport into a career. 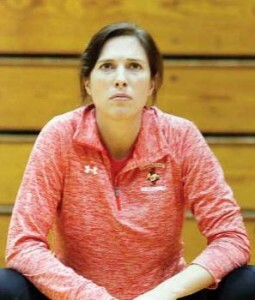 Monica Wright, 2001 NC grad has gone a step further, becoming the most successful women’s volleyball coach in Otterbein University’s history. ThisWeek Newspapers recently published an article on Monica’s journey. 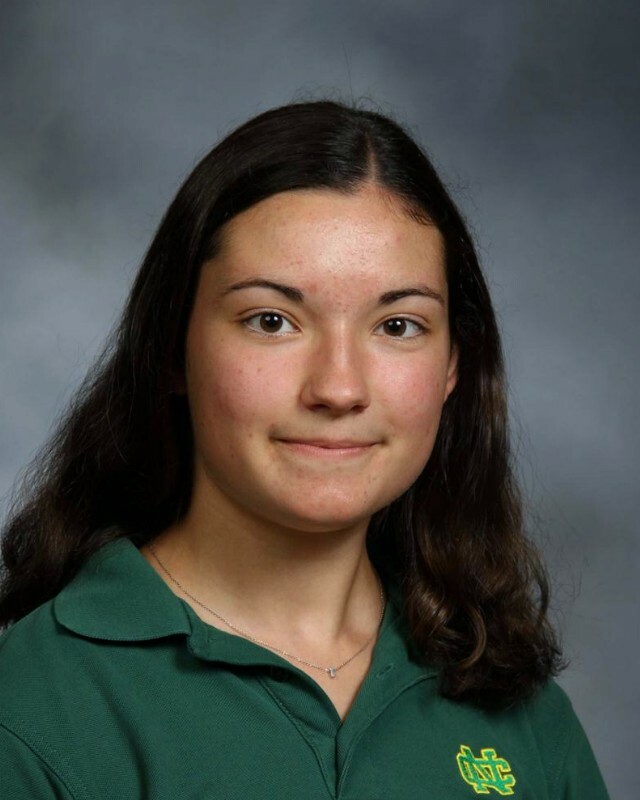 She is quoted in the article as saying “Newark Catholic in and of itself has a culture of discipline, a culture of winning and I think it keeps young kids interested and motivated,” Wright says. “The success is addictive maybe, so I attribute it to the intensity of the programs we grew up with. 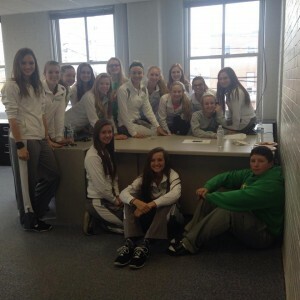 That’s when more of the focus (in girls volleyball) was on high school than on club. Most of my love of the game came through high school athletics.” Continue reading full article here. Show your team spirit by supporting the Girls Basketball program. 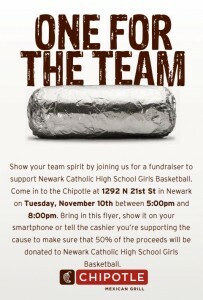 Go the Chipotle at 1292 N 21st St in Newark on Tuesday, November 10th between 5:00 pm and 8:00 pm. 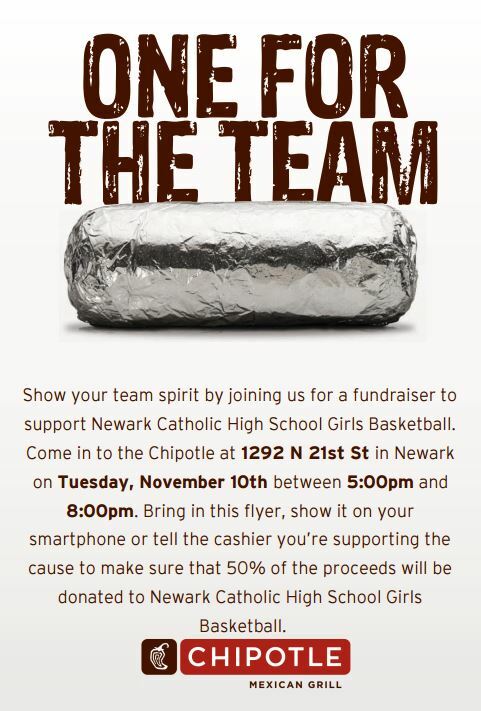 Bring in this flyer, show it on your smartphone or tell the cashier you’re supporting the cause to make sure that 50% of the proceeds will be donated to Newark Catholic High School Girls Basketball. 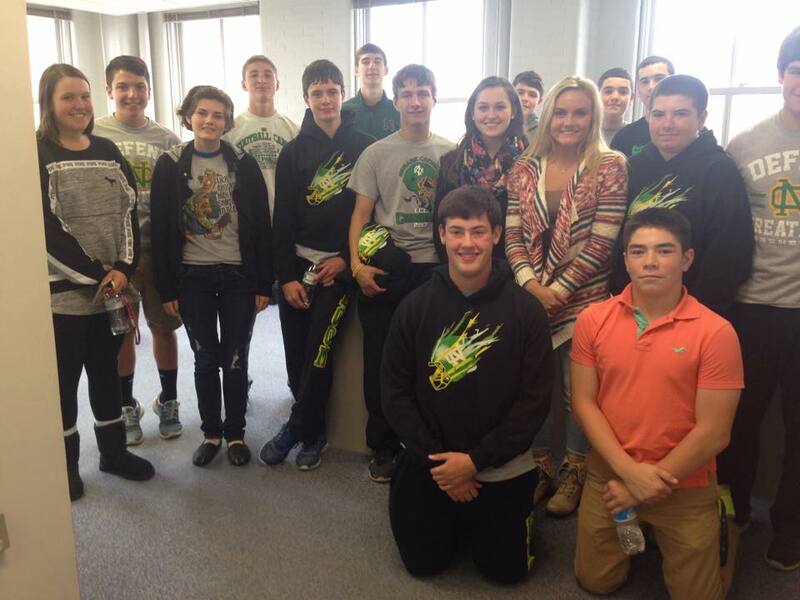 The Newark Catholic Athletic Department is selling tickets for Wednesday’s November 4) Division III regional semifinal volleyball match against Versailles. Tickets are available from 8 a.m. to 3 p.m. Tuesday and Wednesday in the office. Directions to Kettering Fairmont will be provided. The cost is $6 per ticket. Football tickets for Saturday’s (November 7) Division VI regional quarterfinal at Paint Valley will be sold from 11 a.m. to 1 p.m. and 6:00 to 7:30 p.m. Thursday and Friday. Pre-sale tickets are $8, and a portion of the sales go to the school. Tickets are $9 at the gate. Commended Students placed among the top five percent of more than 1.5 million students who entered the 2016 competition by taking the 2014 Preliminary SAT/National Merit Scholarship Qualifying Test (PSAT/NMSQT). About 34,000 Commended Students throughout the nation are being recognized for their exceptional academic promise. 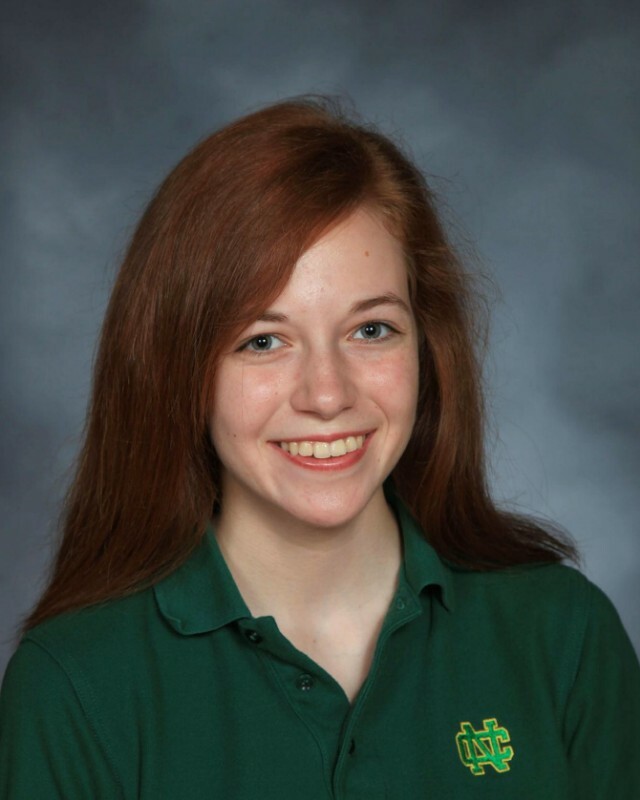 Commended Students have demonstrated outstanding potential for academic success. 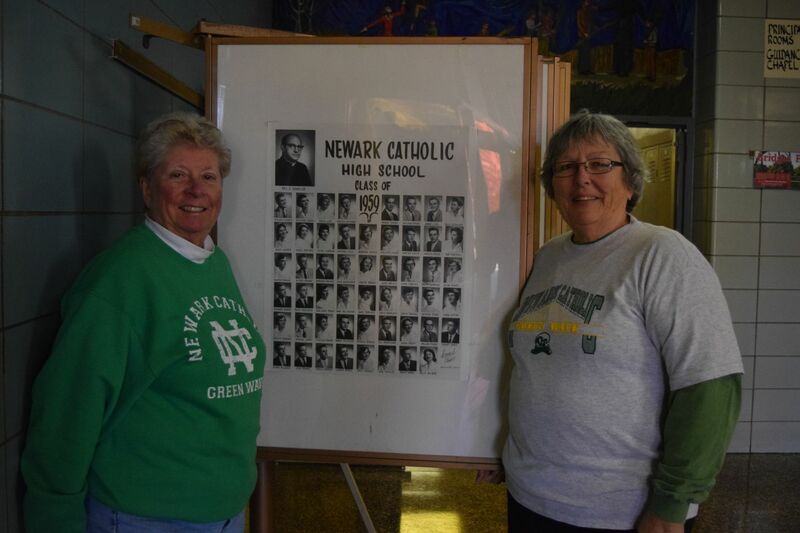 Newark Catholic congratulates the hard work of these seniors. Please see the November 2015 Newsletter here. The Pledge-A-Thon was a huge success…not only measured by the actual dollars pledged, but more importantly by the generosity of each and every person who contributed time, money and talent to this fundraiser. Special thanks go out to Mr. Barry Winters and Mrs. Joan Franks at Park National Bank for allowing us to use their offices and phones to make calls on Saturday. 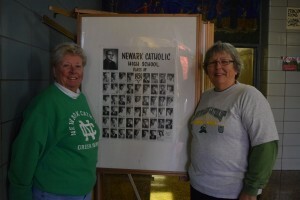 Also thanks to the Class of 1959 for your generous donation of $660. Your kindness is truly appreciated! 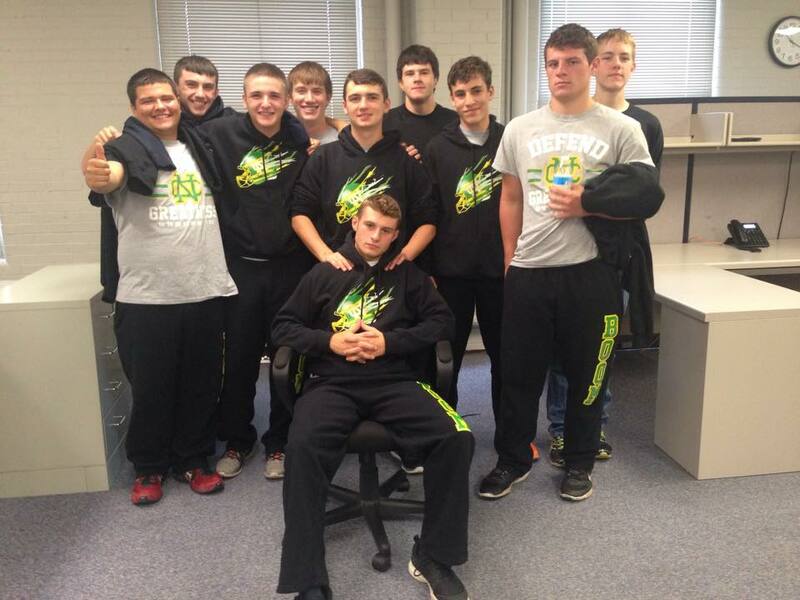 We ended up short of our goal with donations totaling $8937.00. But in the process so much more was gained. 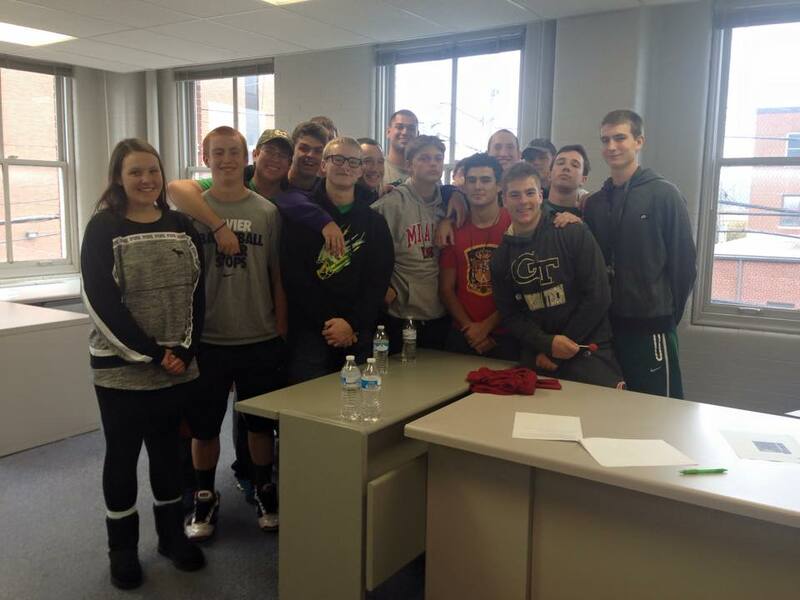 The students who participated in the calls gained much needed experience and learned valuable lessons. The generosity of our NC Alum shined through. Mark you calendars, as this is an annual fundraiser October 24 every year. Attention all 8th Graders! Please join us on Wednesday, November 11 for Prospective Student Day. All eighth-graders in the Licking/Knox Vicariate are invited to attend. The day will start at 9:15 for 8th graders, where they will be paired with NC students, meet teachers and get to know students visiting from other schools. Later that evening parents are invited to attend a Prospective Parent presentation at 6:00 p.m.in the NC cafeteria. Read the Admissions Brochure here.